One of my favorite musicals is Les Miserables. The plot is compelling and the music complements the story well. At the very beginning, the main character, Jean Valjean, is released from prison on parole. His jailer, Javert, comes to give him the news and refers to him as “24601,” his prisoner number. When Valjean tells him, “My name is Jean Valjean,” Javert ignores that and continues to call him “24601.” Later in the story, after Valjean has built an honorable life and is well respected, an innocent man who happens to look like Valjean is captured and thought to be the escaped convict 24601. Valjean sings a poignant song, Who Am I, which highlights his inner struggle of whether or not he should confess who he really is to save the innocent man. As he sings to himself, he asks, “Who am I? I’m Jean Valjean.” When at last he decides to confess to Javert, he ends in a climactic way by singing, “Who am I? 24601!” Throughout the story, Javert sees Valjean as no more than a number, never as a person with a name and a story. Ah, numbers. We live by them, don’t we? When we call about a bill we are asked for our customer number. When we go to the doctor we give our insurance card so they can punch in our number. We need to know our bank account number for access to our account. 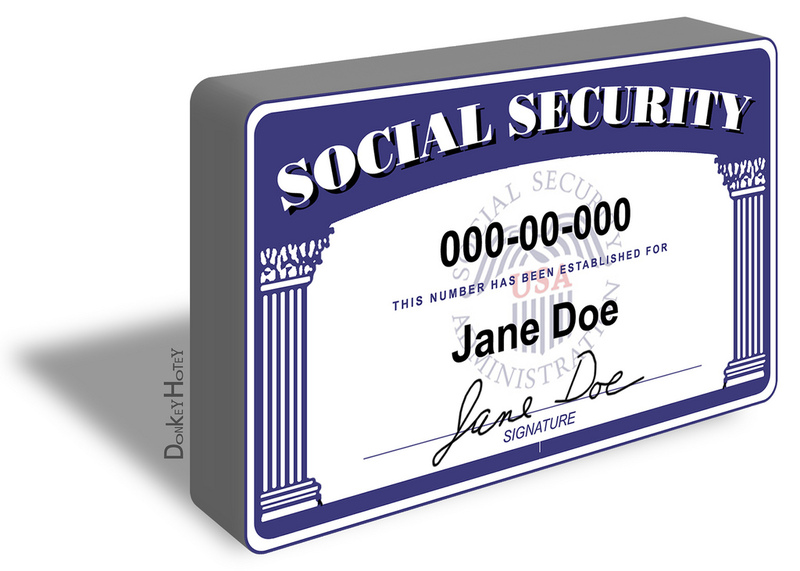 For legal purposes we have to give our social security number many times, and more often than not, we have to punch in these numbers before we even give our names. How does that make you feel? Aren’t you more than a number? Does it make you feel nameless? Just one in a crowd? Perhaps you’ve even considered how many people there are in the world and then think in despair, Why would God care about me and my little problems? He has the entire world to keep in order, and I’m just one insignificant little person. If you’ve ever thought that way, you’re in good company. David had those same thoughts. Look at what he says in Psalm 8:3-4. When I consider your heavens, the work of your fingers, the moon and the stars, which you have set in place, what is man that you are mindful of of him, the son of man that you care for him? When you stop to consider the incredible things God has made, His power is apparent. The mountains, the stars in the sky, the seasons, mighty waterfalls, gorgeous sunsets, towering trees, the depths of the ocean- all of this and more God has created and set in place. What’s more, He continues to care for creation. But despite it all, He still cares for us. Personally. I was struck with that yesterday in church when we read the epistle lesson. Romans 8:26-27 says, “In the same way, the Spirit helps us in our weakness. We do not know what we ought to pray for, but the Spirit himself intercedes for us with groans that words cannot express… [T]he Spirit intercedes for the saints in accordance with God’s will.” Wow. Can you imagine that? The Holy Spirit pleads before God’s throne for us! I am humbled by that thought. I know I am completely unworthy of such an honor. Just think- the Spirit prays for me– me, whose own prayers are often halfhearted and selfish. It’s true- I don’t know what to pray for. My prayers are so limited in their scope it’s embarrassing. But the Holy Spirit picks up the slack and brings true intercessions before God on high. Why would the Holy Spirit bother with our prayers? Most of us won’t accomplish great things on this earth. Most of us aren’t going to be famous or rich or influential beyond our scope of acquaintances. Relatively few people in this world know our names. Of all the people throughout all the ages who have ever existed, it’s easy to feel nameless, just a number in a crowd. But you aren’t, dear one. Consider God’s words in Isaiah 43:1. “[T]his is what the Lord says- he who created you, O Jacob, he who formed you, O Israel: ‘Fear not, for I have redeemed you; I have summoned you by name; you are mine'” (italics mine). Do you see the personal involvement of God here? He created and formed you, and He calls you personally by name. You aren’t just a number to God. It doesn’t stop there. Here’s the best part- He doesn’t just call you by the name on your birth certificate. He gives you His name. When you were baptized, you were baptized into the Triune name of God- the Father, Son and Holy Spirit. You have a new name now- Christian. You bear the name of Christ. He claims you as His own. What incredible love. There are numerous examples in the New Testament of God calling us His sons and daughters, adopting us as His own. Ephesians 1:5-6 says, “For he chose us in him before the creation of the world to be holy and blameless in his sight. In love he predestined us to be adopted as his sons through Jesus Christ.” You are chosen, dear one. Chosen by the God of heaven and earth. You are precious in His sight. No matter how insignificant you feel in the vast scheme of things, never forget this amazing truth- God chose you. God knows you by name. You are His, now and forever.